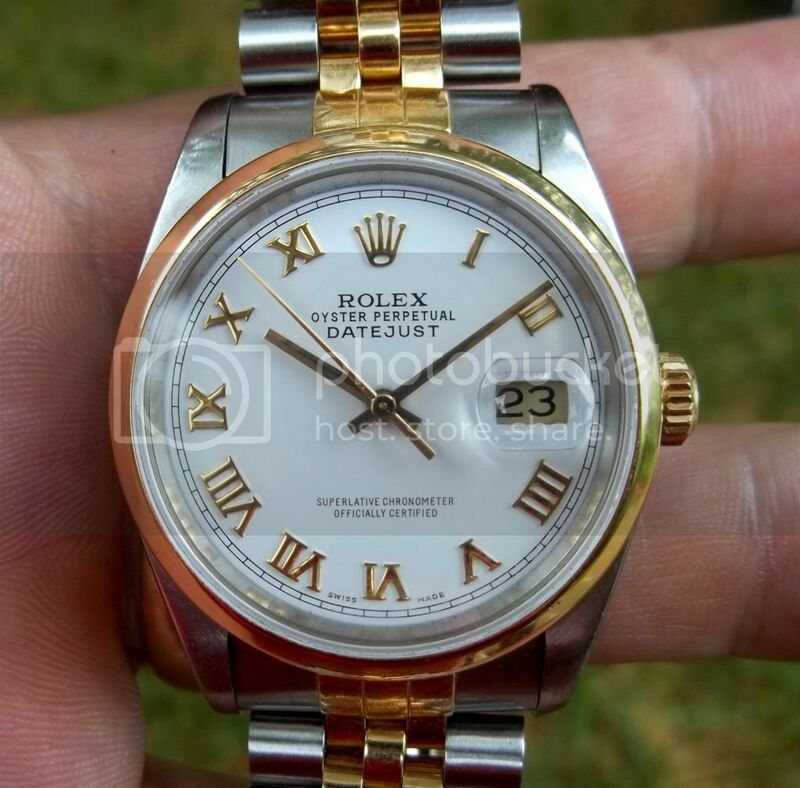 TimeZone : Rolex - Modern » Elegant simplicity. No lume, no rotating bezel, no second or third time zone...just clean simplicity. Finally back from dial swap from a discolored ivory pyramid...I believe I shall keep it this way even after I get the pyramid cleaned...just utterly simple. Previous Topic: Came pretty close to buying this today... Still might go back for it. Next Topic: New TZ Member!